Carry your groceries, books, or tailgating goodies in this fun canvas tote. 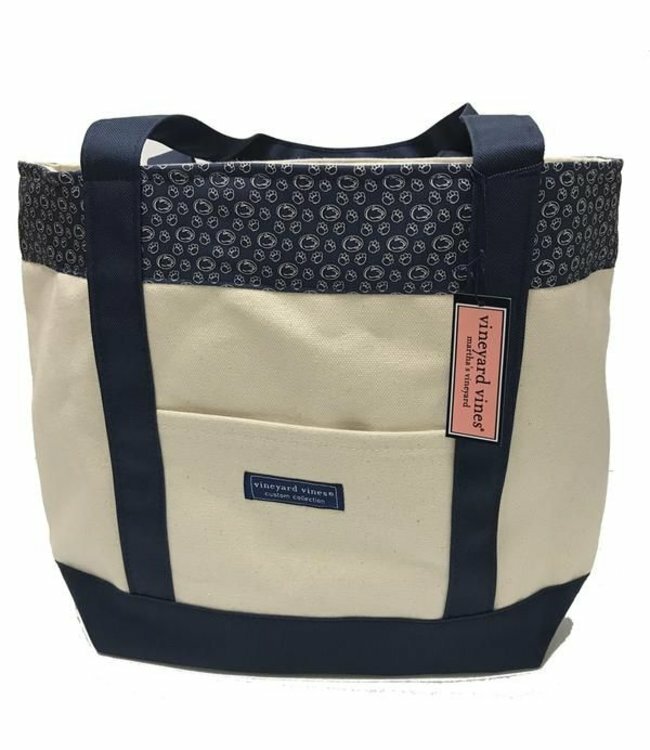 Vineyard Vines Penn State Logo tote bag. Canvas, fabric trimmed tote bag with interior pockets and blue gingham lining.